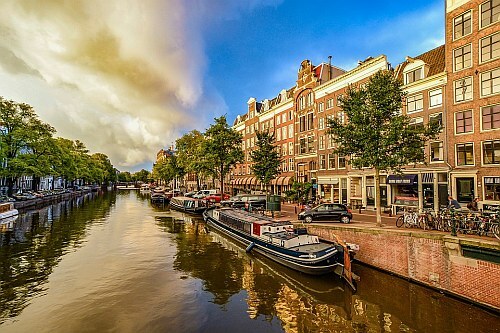 United Airlines has dropped the price of their August flights (peak summer travel to Europe) from Burlington to Amsterdam, Netherlands and Venice, Italy down to $485 CAD roundtrip including taxes. Burlington (BTV) is about a 2 hour drive from Montreal. You can also find 1-stop flights in August from Burlington to Rome, Italy (FCO) for $514 CAD roundtrip. And from Burlington to Paris, France (CDG) for $532 CAD roundtrip. - look for the dates that are $572 roundtrip. IMPORTANT: While Momondo is displaying the prices in Canadian dollars, many of the booking sites showing these fares are priced in $USD - so watch out for that. The price should be around $384 USD roundtrip. europe, western europe, paris, france, cdg, burlington, btv, venice, italy, vce, rome, fco, amsterdam, netherlands, ams and united airlines.